Stock up pricing on paper products!! There is a great stock up sale on paper products this week! Scott, Kleenex, and Cottonelle are part of the spend $30 receive $10 in Bonus Cash, limit 2 per card! There will also be a Catalina printing for $5 OYNO when you spend $25 on these paper products! Buy 5 items and do multiple transactions to score each package on sale for $6.99 for only $2.99 each!! Listed below are 2 scenarios. Final Cost for 10 items after Coupons, Catalinas, and Bonus Cash : $29.90, that’s just $2.99 each!! 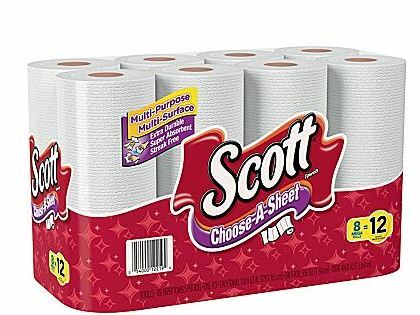 Toilet paper will be $0.25 per roll & paper towels will be $0.37 per roll!